Bathroom Fitters in Southend on Sea, SS1 2RX. Covering Southend On Sea . and cover surrounding areas within approximately a 20 mile radius . complete and partial bathroom refurbishments with over 10 years in the trade. Based in Southend On Sea and cover surrounding areas within approximately a 20 mile radius. 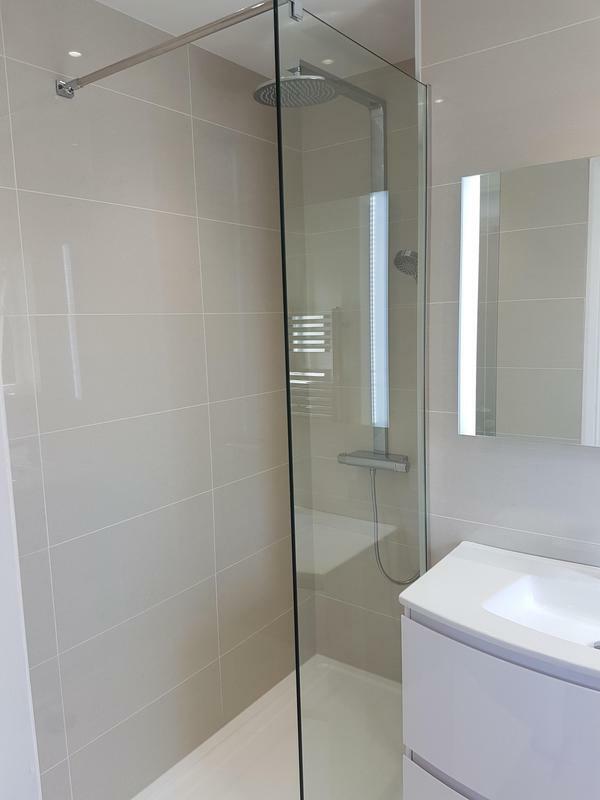 Providing excellent workmanship and friendly service we specialise in bathrooms and wetrooms which are tailored to your specific requirements with your choice of bathroom suite fittings, tiles etc. We also cover a wide range of projects from complete builds, extensions and conversions to bathrooms and kitchens. With the ablity to provide a complete transformation of your property with your vision and our expert skills we can achieve the finish you request on your perfect bathroom. An authorised independant installer of Bathstore products. Also special needs bathrooms designed and installed. Every aspect of your project is carefully managed to ensure complete satisfaction. Please call us for friendly, helpful and professional advice. We give free, non obligatory quotes and estimates. DPL Bathrooms is a trading name or BPL Builders Ltd.
"Very happy with our Ensuite which was completely 'redone. Would definitely recommend." "They arrived promptly every day, set to work straight away and worked quietly and efficiently all day with hardly a break. Despite a number of unexpected problems, not in any way their fault, the work was finished on time and to a high standard. We were delighted with the conversion of separate bathroom and loo into one and are happy to recommend them." "Darren and his apprentice completly refurbished both my bathroom and toilet to a very high standard. He helped with the initial design process and made helpful suggestions when I was undecided with a particular aspect. He came up with excellent solutions to any issues that arose. He was punctual and cleaned up at the end of each day. He was clearly trustworthy and I had no hesitation to leave him alone with my keys while I went on holiday. The Finished bathroom looks amazing. I was particularly impressed that he took the time to bury every single pipe in the wall leaving the space clear and uncluttered. I'll happily recommend Darren and DPL builders to anyone that asks."